You want to retire early but you are only just starting out on your property investment journey and you don’t know how and where to start. Let Nieuvision help you by outlining some of the most popular strategies to building wealth through property investment. Owning your home may be the most basic method of property investment, one that most property owners employ. For many, this is as far as their investment portfolio will go, which is fine, providing you are building investments elsewhere (using stocks, bonds, or cash) to create a nest egg for your future. Your home may appreciate in value over 30 or 40 years,(as property inevitably does) but ownership of only one asset will not secure your retirement. A long term strategy based around accruing a portfolio of numerous properties which you hold on to for at least 10-15 years, after which you sell all the properties and use the profits to retire with, this is likely to build the most wealth. We suggest that this is not a strategy for the inexperienced. The idea here is to buy a cheap, run down property and renovate it quickly before selling it at a much higher price. Flipping is not suited to the faint-hearted. Failure rates can be quite high, especially if the market suffers a drop just after you have bought. To flip a property effectively it often becomes a full-time job. You need to become a site project manager and make decisions quickly, adhering to a tight budget. It is time consuming and tiring. Thought of as mostly passive with minimal risk this is where you entrust your money to a financial institution, allowing them to make decisions on where to invest your money. Often investments will be made in property shares and portfolios, with the goal of producing financial growth for you. The gains can be nowhere near as lucrative as other strategies, they are also often less risky. This strategy uses families coming together to purchase property. To work effectively, this strategy requires definite trust within families, and for this reason it can be fraught with difficulty. It is not a strategy we would recommend – we have all read about families fighting over money! In this strategy a partnership of two, or perhaps three or four people pool their resources to achieve their investment objectives. Because of the number of investors, much less start-up capital is required, also you always have a second opinion available to you, which can help protect against making poor investment decisions. A warning needs to be issued however, as differences of opinion, personality clashes, and long-term strategy shifting are often the biggest downfall to this strategy. Additionally, legal complexities can make it difficult to extricate yourself from this situation, should the need arise. This is a strategy that requires high cash stocks! The aim is to purchase land and build developments on that land, from simple houses up to multi-dwelling apartment buildings. The complexity of full property development can make fools of even the most experienced and savvy investors. 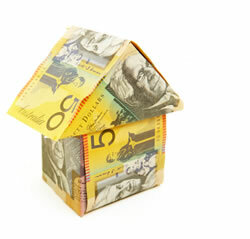 It is important to remember that there is no hard and fast rule to property investment. Consider all the options that are available to you when starting out, and write down the goals you would like to achieve. Now you’re armed with some information and a selection of property investment strategies, it’s time to get out there. How do you get the ball rolling? Start by calling our experienced team at Nieuvison Property Investments on 1300 832 554. They will help guide you through the steps you need to take to start your property portfolio! Sometimes taking that first step is all you need to start you on your journey to wealth!